Use the Circuits and Logic diagram symbols to create a circuit diagrams effortlessly with the smart circuits diagram symbols. Circuits diagram software helps you create circuits diagrams or logic diagrams with the standard circuit symbols and smart connectors. 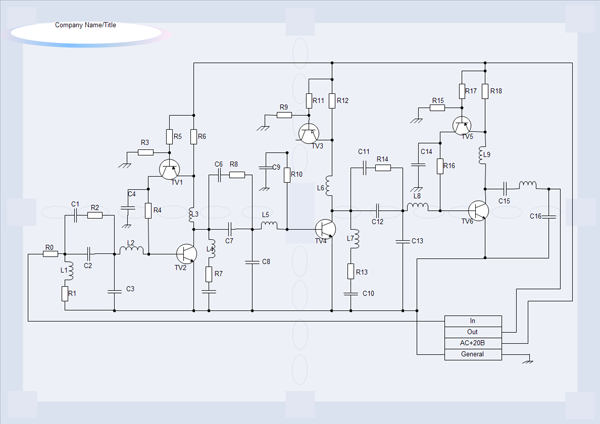 Click here to free download Circuits and Logic Diagram Software. 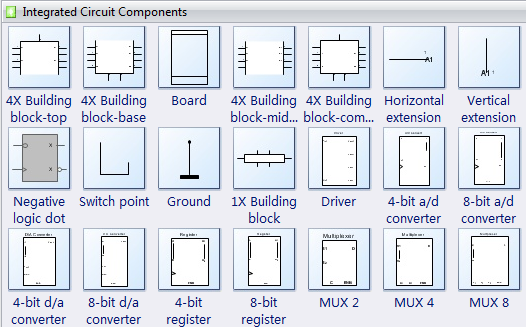 Then you can use the built-in templates to create and present your circuits and logic diagrams in minutes. Easily create annotated circuit and print circuit board diagrams, integrated circuit schematics, and digital and analog logic designs. The software contains terminal, connector, and transmission path shapes. The circuits and Logic template helps you create relatively complex circuit diagrams for any use. You can create both analog and digital circuitry using the Analog and Digital Logic, Integrated Circuit Components, Terminals and Connectors, and Transmission Paths stencils. This is a good circuits tool for playing with an idea, fleshing out a concept, or discussing a technical issue with someone else. It provides all the necessary circuits symbols that are needed to create basic circuitry and a number of standard Integrated Component (IC) shapes. 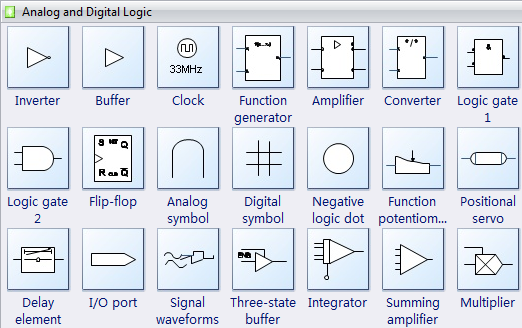 The following analog and digital logic shapes include inverter, buffer, clock, function generator, amplifier, converter and more circuits symbols. The following integrated circuit components shapes include building block, board, switch point, driver, extension and more circuit component symbols. 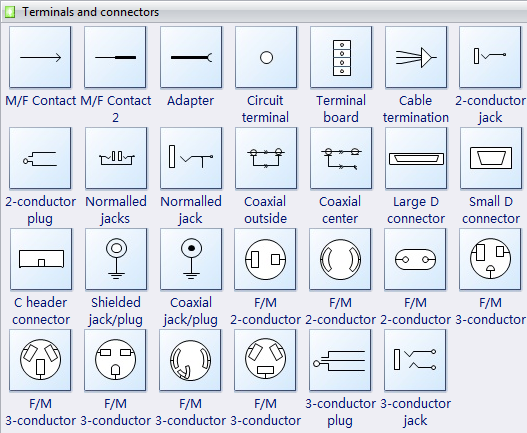 The following terminals and connectors shapes include contact, circuit terminal, conductor, cable and more circuit connectors symbols. The following electrical engineering diagram are created by Edraw circuit diagram program. You can drag the built-in circuits and logic symbols then connect them very easily. 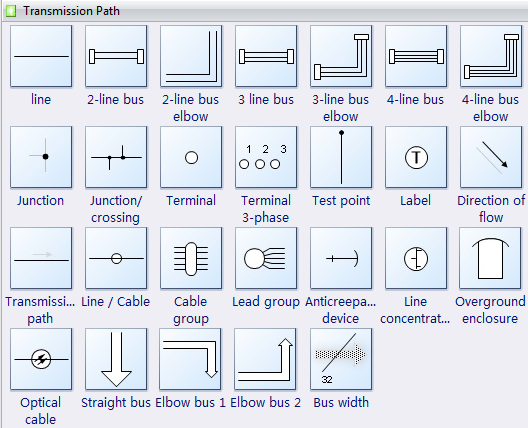 In our circuits diagram software, you can use the action button to choose the right electrical symbols with one click.